And who prepares committed, dexterous, determined, morally strong and ethically emancipated generations? The teacher. That is why the entire humanity respects most the teacher from amongst them. India celebrates it on September 5 every year. Globally, the United Nations Educational, Scientific and Cultural Organization celebrates it on October 5 each year. It is customary to remember one’s teachers, reflect the role of teachers in lives of individual and the nation, in nurturing of human values, democratic values and establishing the criticality of morality in human life. The role articulation of the teacher in different civilisations has indicates a symphony of perception that is philosophically consistent and similar, if not the same, in principle. In actual practice, it changes everywhere depending upon the changes in the world outside the institutional boundaries. Our philosophy tells us that permanence belongs to eternity alone and unceasing change is the rule of life. Traditionally, the teacher has been the observer of the change; he analysed change in the specific context, and guided the society in accepting the one that fitted in its dynamic advancement and cultural context, rejecting the rest, that may be relevant elsewhere but not everywhere. The new impactors of change have directly reached every home and hearth. Is the role of teacher has been restricted only to the classroom and coaching institutions with a single point objective of preparing the learner to score highest marks in the ensuing board examination? In the current context, one finds considerable contrast and confusion that prevail in the system of education as to what do we expect from teachers. Take two examples: Ragging in the well-known Scindia School Gwalior that has sent a bright young boy in the state of coma. There would be some formalities, some action and activity but eventually no one would get exemplary punishment. Three children were found dead in Maharashtra, and it is widely believed that their death was a consequence of an environment of terror in the school and the thrashing that the low-scoring students were regularly awarded by the teachers. A Minister of a State has already justified thrashing in schools — what is wrong in it? Every day, one gets a couple of reports on corporal punishment inflicted on young children resulting in serious injuries to young ones. And not every classroom could be put under watch. If a public school, with no lack of resources, just cannot care to prevent ragging in spite of the strict directives of the Supreme Court, the work culture must be seriously, and sickeningly, deficient in certain aspects. How could the management be unaware of the obnoxious practice? How could another school permit corporal punishment on regular basis and not take the responsibility of the tragic loss of three lives? While there are innumerable instances that disappoint, there are islands of hope, created by the teachers visible throughout the country. These repose our faith in the future of India. In India practically every teacher teaches in a multi-religious class and knows how important it is to let every child know how precious he/she is to him. In a school in Srinagar, around 1947-1948, young Som Nath Saraf came to school after about two weeks. “Where were you, Som”, asked the maulavi sahib. The feeble response from the young child, “My mother expired”, brought maulavi sahib to his seat. He lifted him in his arms and said: “Now onwards, I am your mother.” It transformed the life of SN Saraf, who rose to great heights in education, retired as the Chief of Education in the Planning Commission, and made significant contribution to ‘Values in Education’. Every person could enumerate instances that glorify the teacher as the transformer of the individual fortunes. 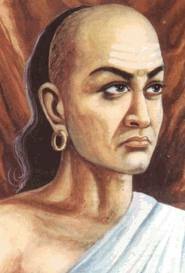 Picking up a boy from the roadside, Chanakya could mould him into a Chandragupta. Teachers’ Day is the time to realise how teachers of today can revitalise the fight against corruption and erosion of values all around. They have to prepare men and women of courage, confidence and character. 2014 is the year of hope, of dreams being fulfilled, of the nation marching ahead in unison to greater heights. Success would primarily depend on how teachers accept the challenge. Only teachers in schools and colleges can strengthen social cohesion and religious amity, the two basic pillars on which India shall progress ahead. This entry was posted in Article and tagged Teachers day. Bookmark the permalink.